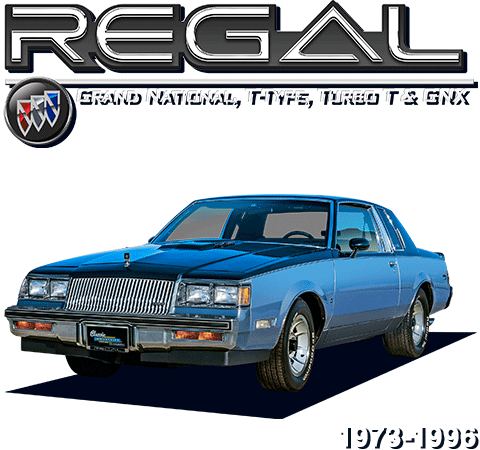 The most comprehensive selection of parts and acessories for 1973-96 Buick Luxus, Century, Regal, Grand National, GNX, and T-Type is here! We're compiling the largest selection of in-stock restoration and performance parts and accessories in the industry for 1973-96 owners anywhere on the planet. 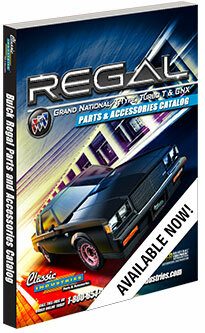 Classic Industries' full color catalog includes the most comprehensive information to restore or customize your 1973-1977 Buick A-Body and 1978-1987 Buick G-Body models. We have the most complete selection anywhere! Choose from seat upholstery, carpet, interior components, headliners, vinyl tops, sheet metal, body components, weatherstrip, seals and gaskets, emblems, decals, moldings, engine components, Turbo 6 parts, wheels and center caps and nearly everything else you'll need to fully restore, modify, personalize or customize your Buick. Our comprehensive catalog is available in a full color printed version, or the convenience of downloadable pdf. Or, simply browse our website today to place your orders online.